The widow of QuadrigaCX CEO Gerald Cotten says a chief restructuring officer should be appointed to oversee what remains of the insolvent cryptocurrency trading platform, saying her role as director has drawn 'unwanted' online commentary suggesting she is trying to hide assets. The widow of QuadrigaCX CEO Gerald Cotten says a chief restructuring officer should be appointed to oversee what remains of the insolvent cryptocurrency trading platform, saying her role as director has drawn "unwanted" online commentary suggesting she is trying to hide assets. In an affidavit submitted this week to Nova Scotia Supreme Court, Jennifer Robertson of Fall River, N.S., also says that a 30-day stay of proceedings that has protected the company from lawsuits should be extended. 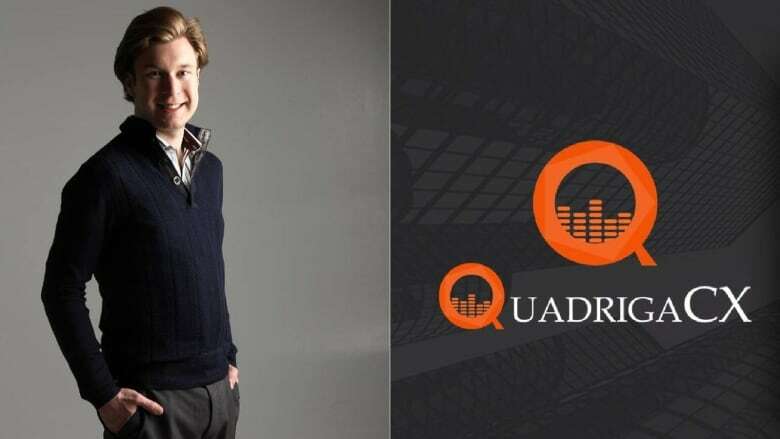 More than 115,000 users of the Vancouver-based QuadrigaCX platform are owed about $260 million in cash and cryptocurrency following the demise of the unregulated company on Jan. 28. About $190 million in Bitcoins and other cryptocurrency remains missing, according to court documents that say some of those digital assets are locked away in so-called offline cold wallets that remain beyond the reach of the company. "In order to continue to pursue the location of the assets, more time is needed," Robertson says in an affidavit filed Monday. "If the stay extension is not granted ... the ability of the [Quadriga] companies to complete the investigation into the location and accessing the missing assets will also end, as well as ending any discussions regarding the potential sale of ... Quadriga." Robertson says a chief restructuring officer (CRO) should be appointed because she and the other director of the company, Tom Beazley, have no significant experience with the cryptocurrency industry or insolvent businesses. As well, she says her role as director has attracted unwanted public attention. She cited "online commentary" suggesting she has failed to act in the best interests of the company and is "trying to hide assets." Cotten, 30, was QuadrigaCX's lone director when he died suddenly on Dec. 9 while travelling in Jaipur, India. When his death was announced more than a month later, court documents revealed he was the only QuadrigaCX employee who knew the pass codes required to gain access to the company's cryptocurrency. Robertson, who was granted all of Cotten's assets in his will, says the court should appoint Peter Wedlake as chief restructuring officer. Based in Halifax, he is a senior vice-president at Grant Thorton Ltd. who specializes in financial restructuring. "The [Quadriga] companies require ongoing direction relating to their affairs during the [insolvency] process and during an anticipated sales process," Robertson says. "In my opinion, direction of these issues can best be provided by a CRO who has access to cryptocurrency expertise." Lawyers for QuadrigaCX plan to ask Justice Michael Wood to approve the appointment and extend the stay of proceedings by up to 60 days during a court hearing scheduled for March 5, which is when the original stay is set to expire. In a motion filed Monday with the court, QuadrigaCX lawyer Maurice Chiasson addressed Robertson's somewhat contentious role as director, saying the appointment of a CRO should fix that problem. "The independence of the CRO would ensure that the interests of all stakeholders are protected and that any alleged concerns in relation to Ms. Robertson's continued day-to-day involvement with the [QuadrigaCX] companies would be addressed."